Lake Baikal, with its exceptional species diversity and unique wildlife, is a UNESCO Natural World Heritage Site. As part of the Helmholtz Russia Research Group LaBeglo, UFZ researchers are studying the impact of climate change and environmental toxins on the lake's fauna. In a recent study, together with researchers from the Helmholtz Centre for Polar and Marine Research (AWI) and the University of Irkutsk, they addressed the question of how Baikal amphipods that fulfil important ecological functions in the lake react to pollutants in the water. Lake Baikal formed between 25 and 30 million years ago and contains around 20 per cent of all unfrozen fresh water on Earth. At approximately 23,000 cubic kilometres, its water volume is even larger than that of the Baltic Sea. Lake Baikal is not only the oldest and largest lake on Earth, but with a depth of over 1,500 metres also the deepest. It may also be one of the coldest: the average water temperature near the shore is only about 6 °C. "The water is crystal-clear, the salt and nutrient content is low and it's extremely oxygen-rich—even at the very bottom of the lake," says Dr Till Luckenbach, an ecotoxicologist at the Helmholtz Centre for Environmental Research (UFZ). Over the course of evolutionary history, these particular conditions in Lake Baikal have resulted in a unique fauna. About 80 per cent of the 2,600 or so species living in Lake Baikal are endemic—in other words they are not found anywhere else on Earth, indicating that they have adapted very well to the extreme conditions. However, whether the fauna of Lake Baikal will remain so diverse and unique in years to come is uncertain. The lake is situated in a region in which global warming is particularly noticeable. Over the past 50 years, the average surface temperature of Lake Baikal has increased by nearly 1.5 °C. "And it's still rising," says Luckenbach. "The period in winter when the lake is covered with ice has also become much shorter. In addition to this, there is detectable chemical pollution. Since the environmental conditions in Lake Baikal have remained stable for a very long time, these changes are dramatic." In the Helmholtz Russia Research Group LaBeglo, project leader Luckenbach and his team from UFZ have been working for the past six years with researchers from the University of Irkutsk, the AWI in Bremerhaven and the University of Leipzig to discover what consequences the changed environmental conditions—such as rising water temperatures and chemical pollution—have for the unique fauna of Lake Baikal. 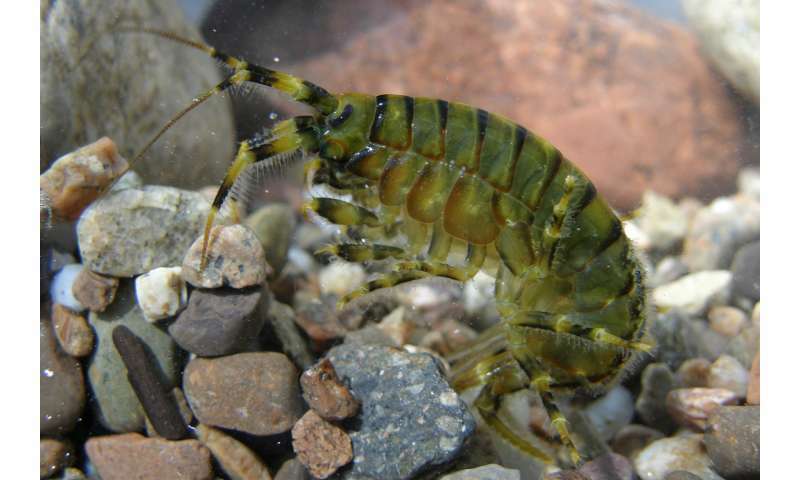 Two native amphipods of the genus Eulimnogammarus are being used as model organisms. Amphipods perform an important ecological function in water: they break down organic material, thus keeping the water clean, and serve as food for fish. This key role in the food network makes them important model organisms for ecotoxicologists. Studies on the temperature sensitivity of Baikal amphipods carried out at the University of Irkutsk show that one species (E. cyaneus) can tolerate water temperatures up to around 20 °C, which may occur in summer close to the shores of the lake. The research team found that E. cyaneus produces a constant level of so-called heat shock proteins, which protect important protein molecules in the organism that would otherwise be damaged at high temperatures. The other species, E. verrucosus, produces far fewer heat shock proteins and instead migrates to deeper, cooler regions of the lake to escape high water temperatures. "If water temperatures increase as a result of climate change, this could have far-reaching consequences not only for the individual species, but also for the balance of the ecosystem, which has developed over a long period of time," says Luckenbach. "In the case of E. cyaneus, the temperature maximum which the species can tolerate for long periods can sometimes already be reached in summer—a further temperature increase would be extremely critical. And if E. verrucosus has to migrate to deeper water more than is currently the case, the species will have to compete more with the amphipods living there for food sources." In their study, published recently in Environmental Science and Technology, a team of researchers from UFZ, the AWI and the University of Irkutsk investigated how these two species of amphipods react to chemical pollution in the water. The animals were exposed to the heavy metal cadmium, which served as a model toxin. Although the water in Lake Baikal is still largely unpolluted, cadmium is a relatively frequent environmental pollutant whose toxicity makes it extremely problematic to ecosystems. 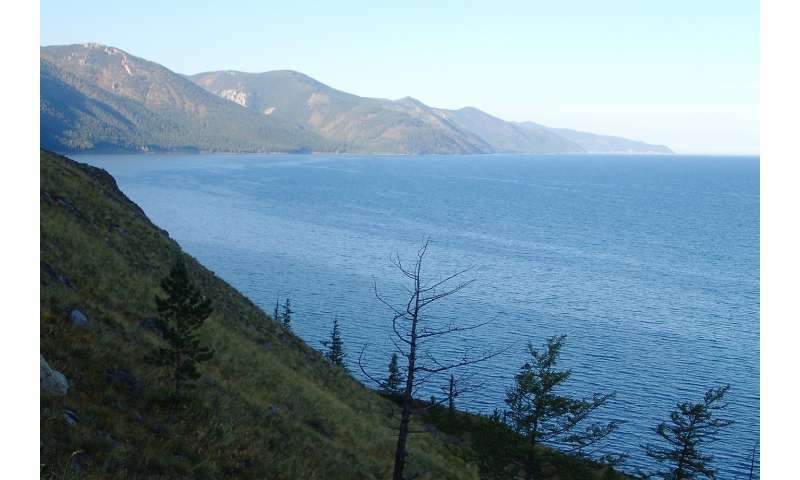 It seems likely that Lake Baikal could see increasing heavy metal pollution. The lake's largest tributary, the Selenga River, is increasingly polluted with mining waste water from Mongolia, and via air, pollutants reach the lake from the industrial region around Irkutsk. The reactions of the amphipods were observed in the laboratory. "The smaller species E. cyaneus absorbed the pollutant faster and thus died at lower pollutant concentrations in the water," explains Dr Lena Jakob, an ecophysiologist at the AWI, who carried out the experiments at Lake Baikal. "We also observed that E. verrucosus slowed down its metabolism even at low concentrations of cadmium. This is a warning sign, because the animals might avoid feeding when this happens, do not reproduce and are more likely to fall prey to predators due to reduced activity. Even a low but constant level of chemical pollution in Lake Baikal could have massive impacts on individual species and the ecosystem as a whole." In another study, the UFZ researchers together with bioinformatics experts from the University of Leipzig obtained the first insights into the genome of E. verrucosus. It is surprisingly large—about three times the size of the human genome. The genome data will be used as the basis for further investigation of physiological adaptation strategies in different environmental conditions. According to Luckenbach: "We want to shed a little more light on this area, understand the physiological level even better and find out whether there are other mechanisms that enable the organisms to withstand the effects of climate change and exposure to pollutants, because ultimately we want to be able to predict how the ecosystem might change."